Perhaps you have seen a family member or friend with an electronic cigarette. Maybe you noticed someone using one in a public place that does not allow smoking. Perhaps you are considering using ecigs in place of the tobacco cigarettes that you are currently using. Whatever the reason, this neat little device has caught your attention and got you wondering whether they are a safe option. These battery powered devices provide a form of nicotine and bear a striking resemblance to a conventional cigarette. This seemingly safer alternative to tobacco is rapidly growing in popularity as the sales of traditional cigarettes are on the decline. What Is In An Ecig? The primary component of an electronic cigarette is the cartridge that you can replace or refill with a liquid known as eJuice or eLiquid. The eJuice contains the nicotine, in addition to flavors and solvents. Are electronic cigarette bad for you? When you take a draw on the e-cigarette, the batter heats the liquid and it is atomized into a vapor that you can inhale. The levels of nicotine vary in strength, making it possible for you to choose the amount that is right for you. Different from the carcinogenic tobacco cigarettes, an electronic cigarette is generally made up of three primary ingredients. These ingredients include the nicotine, the flavoring of your choice and propylene glycol. Syrupy propylene glycol is a synthetic liquid that is frequently added to cosmetics, foods and some medications in order to absorb water and maintain moisture. It is often found in soft drinks, cupcakes and salad dressings. It can also be found in antiperspirants, shampoos and soaps. What are its side effects? One the greatest benefits of electronic cigarettes is the fact that nothing is burning. These devices do not burn tobacco, nor do they	produce any type of smoke. This means that there is no carbon monoxide being produced and there is no odor. All you are inhaling when you puff on an e-cigarette is vapor. Another advantage is that you have the power to choose how much nicotine you get with each ecig. You can choose a little, or you can choose a lot. 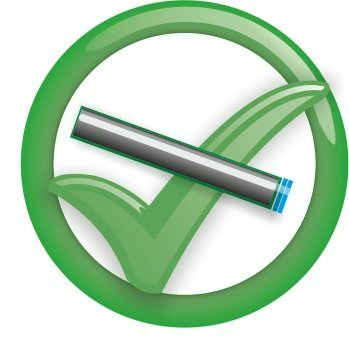 It is even possible to choose	an electronic cigarette that does not contain any nicotine in it at	all. This has allowed many cigarette smokers to step down gradually from tobacco use. Finally, the dangers of secondhand smoke are significantly lower	with the use of electronic cigarettes. While there may still be some nicotine exposure with ecigs, studies have discovered that exposure to be much less with vapors from electronic cigarettes that with the smoke	produced by conventional tobacco cigarettes. In fact, the nicotine emissions from an electronic cigarette are ten times less than the emissions from burning tobacco.